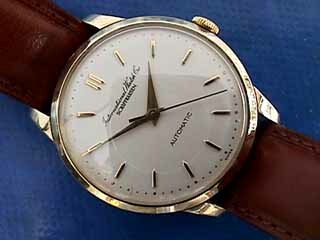 Very elegant and - as far as I know - rare IWC Automatic, Dial is almost perfect (maybe redone), High Grade Movement Cal. 853, No. 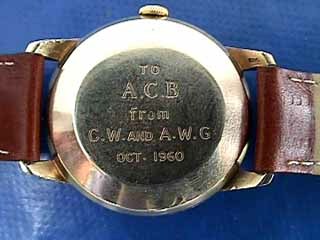 1503123, 9kt Solid Yellow Gold Case, Inscription on Snap Back "To A.C.B. form C.W. and A.W.G, Oct. 1960"